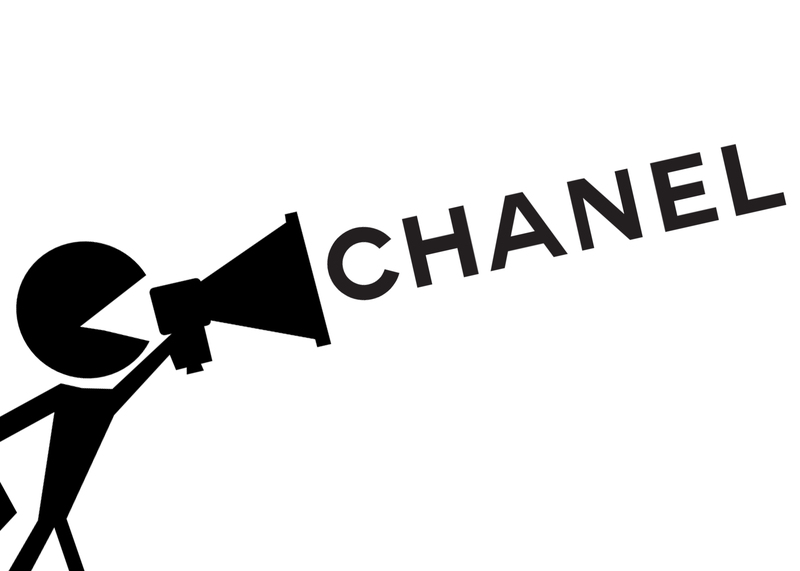 Chanel, Feminism and Social Activism on the Runway | Grand Central Magazine | Your Campus. Your Story. This season, Chanel made fashion, not war with it’s 2015 Spring/Summer ready-to-wear collection and runway show. Models took to the literal streets on a runway transformed into “Boulevard Chanel.” The set design was made to look like an ordinary street in Paris complete with curbside puddles and buildings lining the runway. When the show began, models strutted to the synth 80’s beats of the Petshop Boys, both solo and in groups of two or three the way that girls would if they were out shopping with friends. The looks that Chanel showed in its collection varied from super-femme menswear to 70’s flair. The collection featured bright colored tweeds, colorful watercolor prints, black and white, gunmetal embellishments and perfect pastels. There were a lot of tweed suits, boyfriend-style pants, pinstripes and crazy collars. The girls were fashionable, fun and free-spirited and not one model was in high-heels. The decision not to dress the models in high heels was my first indication that Chanel was trying to promote something more than the clothes. It seemed like for once the designer realized that he was designing for real woman who have careers and lives that want to look fashionable in their every day life. Finally, looks that are couture and attainable. Chanel surprised its audience by having the models stage an impromptu protest opposed to walking down the runway in single file form. The models marched out together in a large group with supermodel Cara Delevingne and Karl himself leading the way. Marching behind was a throng of supermodels including Gisele Bundchen, Kendall Jenner and Georgia May Jagger. Models carried picket signs with phrases like “History is Herstory,” “Free Freedom” and “Ladies First.” Models also had megaphones and Delevingne could be heard leading a chant of “What do we want?” “Freedom!” “When do we want it?” “Now!”. This was the first fashion show that allowed models to show off their personality – not just their bodies – and to use their voices. I think a lot of people have the conception that supermodels are just walking clothes hangers who are aloof and unaffected by social injustices. The Chanel model protest proved this to be false. As I watched the models march down the runway, it was clear that they were passionate about social activism and women’s rights from their energy and enthusiasm. Even though the fashion industry already has a reputation for breaking the rules and taking a stance on human rights issues, it has never been as apparent until now. The protest caused Chanel to receive a lot of media attention. Chanel, as well as the models in the show, were taking a stance and coming out as feminists, which can be seen as a risk. It seems our society is experiencing a rebirth of the feminist movement where more and more people are labeling themselves as feminists. Celebrities like Lena Dunham and Emma Watson, who recently made a speech about women’s rights to the United Nations, are taking stances as feminist ambassadors and defining feminism for what it truly is, a belief in equality between the sexes. 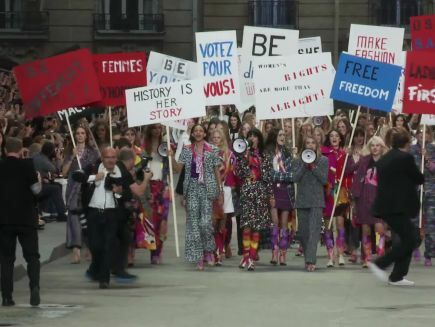 Through my eyes, Chanel’s pro-feminist protest was an artistic way of adding themselves to the growing list of ambassadors for feminism. I would also argue the protest was a reflection of who Coco Chanel was, a fashion pioneer and businesswomen. By allowing the models to use their voice and come out from behind their stoic model personas, they are giving a voice to women in general. Now, while I don’t necessarily think every runway show needs to become a platform for social issues, I believe public protests featuring a large concentration of celebrities and media elite are few and far between. If more high profile people and companies continue to take a stand for causes such as gender equality, it will create a snowball effect for change and influence more people to take a stand as well. 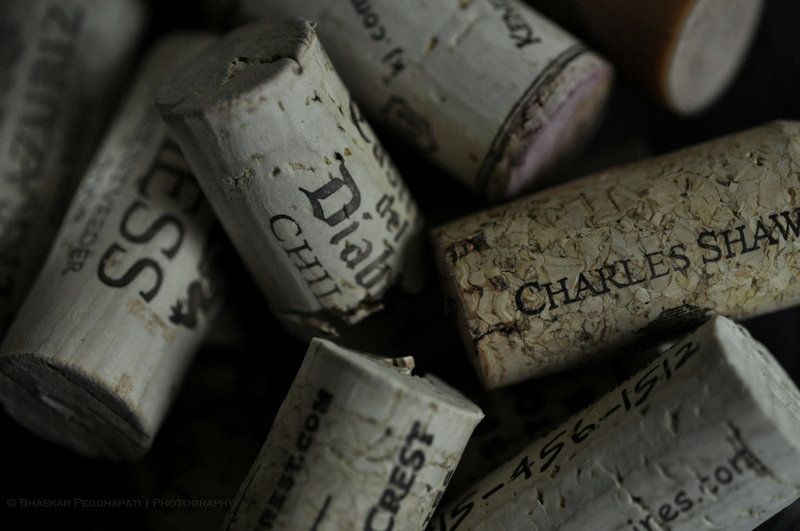 Separator image Posted in Opinion and tagged with Chanel, Fashion, feminism, nina muzik, opinion, Parish Fashion Week, Spring, Style, Trends.